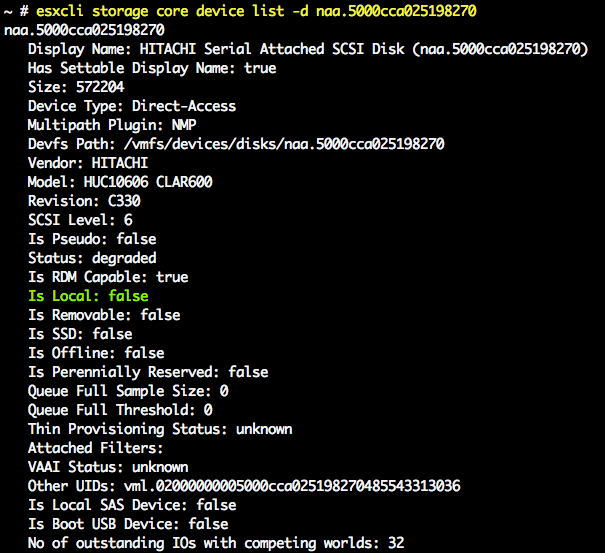 I already know that some disks may not be recognized as a local device which VSAN requires and this is nothing new, in fact Duncan Epping even shows you how to get around this in this article here. Seeing that it was so early in the US, I figure Duncan was probably awake and wanted to run a few things by him. It was while he was looking around in the system did he notice a stranger issue. 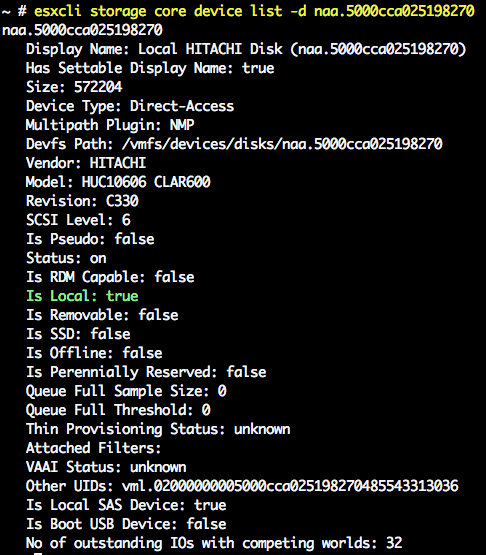 It turns out, for identifying Hitachi storage devices, the SATP rules is quite generic and keys off of the vendor name only and hence the assignment of the ALUA SATP plugin is choosen. In my opinion this can be problematic as the plugin can potentially cause strange IO or pathing behaviors as it expects one thing but is getting something completely different. I suspect this plugin was probably meant for an Hitachi storage array like an HDS instead of a local device. Once I was able to narrow this down, I just needed to create a new rule that would override the system defaults. The lesson here, do not assume your local devices and potentially even remote devices will be claimed correctly. There maybe vendor best practices that differ from the out out box rules and you should always do your due diligence to either verify yourself or work with your vendors to confirm the configurations.